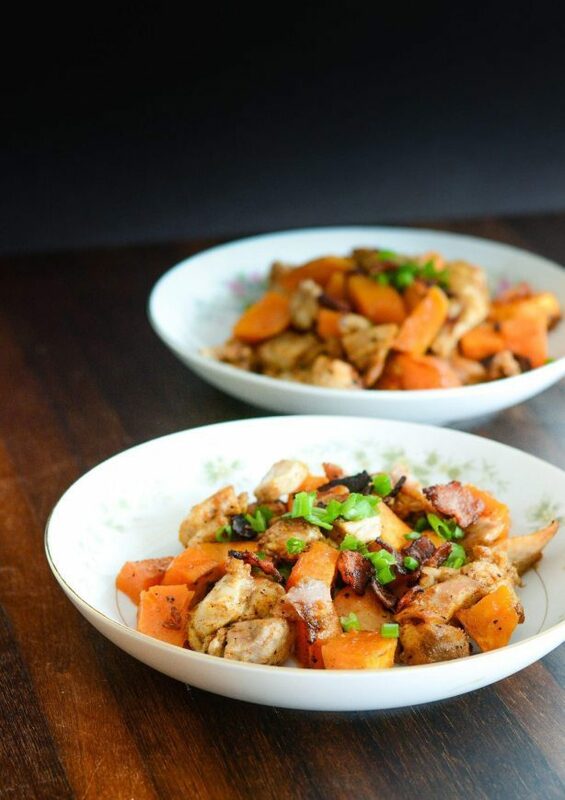 Sweet Potato Spicy Chicken is a recipe to impress. A dinner recipe that is easy, and packed full of rich flavor that is sure to make the whole family happy. Gluten Free, Dairy Free, Soy Free, and Paleo. You can use chicken thighs in this recipe which is very rich. Like oh-my this is amazing! 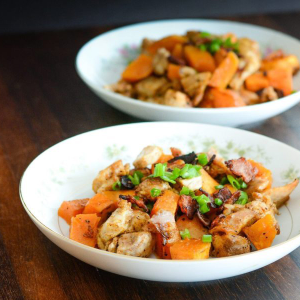 However, if you want to keep your calorie count a little lower, but still want the flavor from the dark meat, do a combination of chicken thighs and breasts. 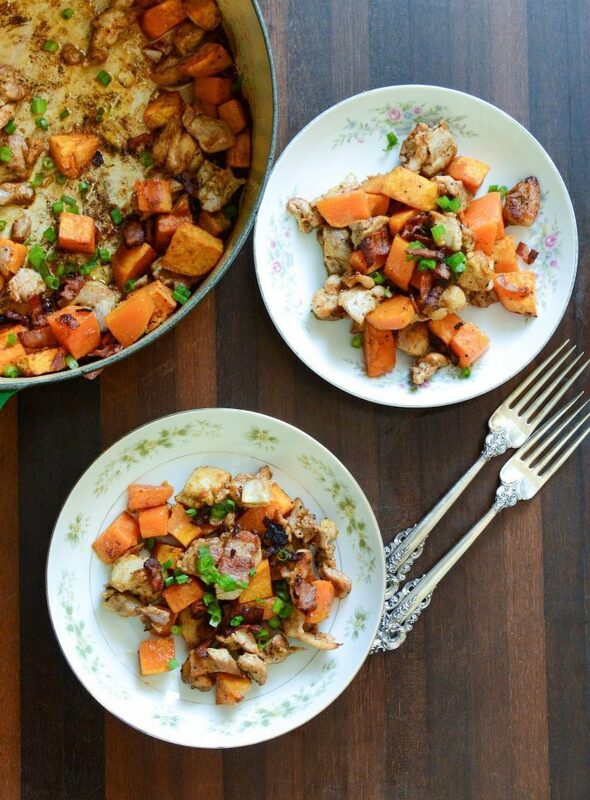 Whichever meat you choose this dish is simple to pull together with a limited amount of prep and ingredients.